Our products range from classic "Flat Prints" with our timeless poses, to uniquely "Popular" items such as our beautiful Wall Star. 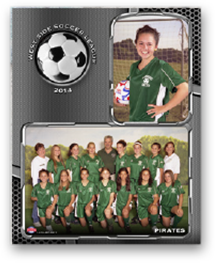 Product Description: Includes 1 5x7 team photo + 1 5x7 individual with a beautiful fold open mount for display. 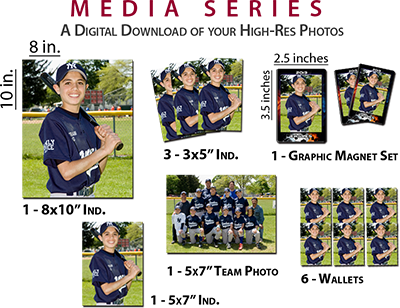 Product Description: Includes 1-8x10 composited Individual 3x5 photo & 5x7 Team photo with a beautiful mount for display. 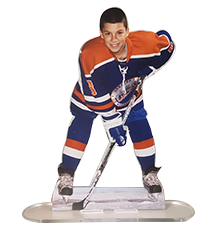 A beautiful Handcrafted acrylic cutout measuring 9 inches tall by 10 inches wide. Accompanied by 8 wallets and a holder for displaying 1 wallet. 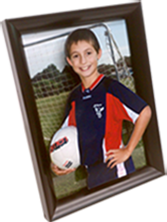 A handmade acrylic cutout made to sit outside the photo frame giving the illusion of a 3D shadow box. 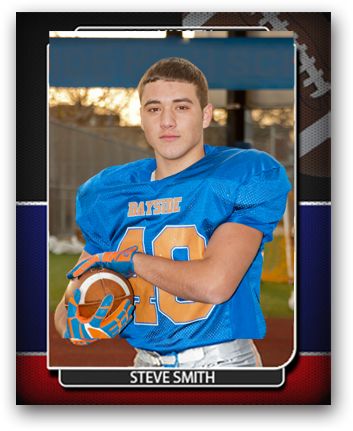 Product Description: Traditional 8 by 10 Inch printed on high quality photo paper. 2 Traditional 5 by 7 Inch prints on high quality photo paper. 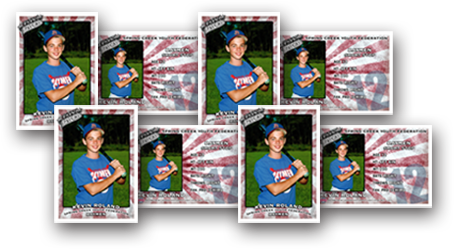 8 Wallet prints printed on high quality photo paper. 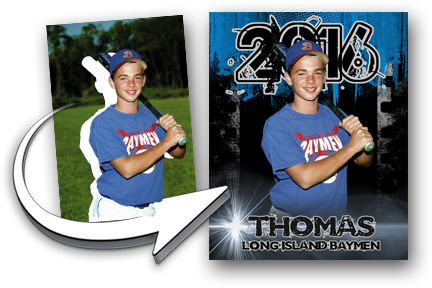 We took the traditional prints and added beautiful sport specific graphics with your child's name. 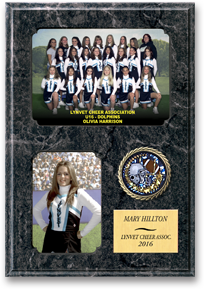 A large 13 inch tall and 9 inch wide plaque with 1 5x7 Group Photo and 1 3x5 individual print with child's name,league & current year. 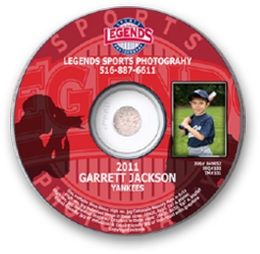 A large 9 inch tall and 11 inch wide plaque with 1 5x7 individual photo of your child with their Name, League & Current Year. 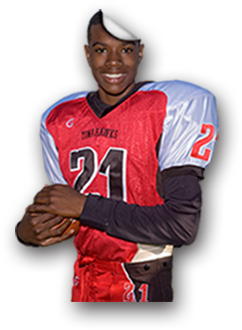 A large 11inch by 17inch wall graphic of your child that can be used to bring any wall space to life. 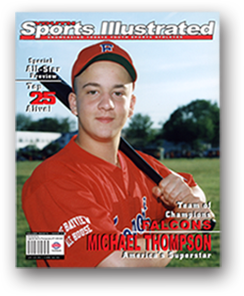 The classic Magazine cover. 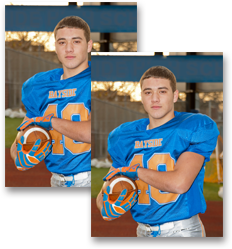 Comes in 2 sizes. 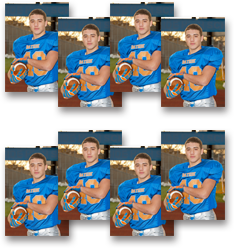 Item 20 includes 2-5x7's while item 21 is a full size 8x10. Great for scrap-booking. 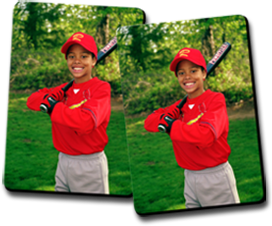 Product Description: The collector set has beautifully designed sport specific graphics with your child's name and team name. A must for any child. 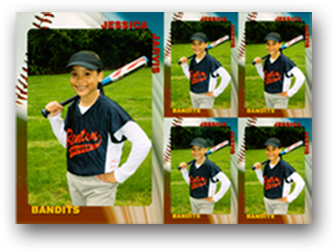 Our beautifully designed trading' cards are customized with your child's stats to make them a great keepsake. 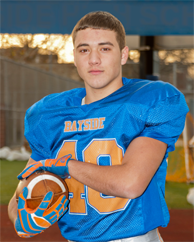 For the purist. 2 Classic non graphical 3.5inch by 2.5inch magnets. Taking the old school magnet to the next level. 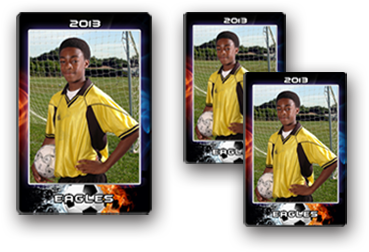 These 3 magnets include sport specific graphics and your team name and current year. Product Description: Grandpa's favorite! 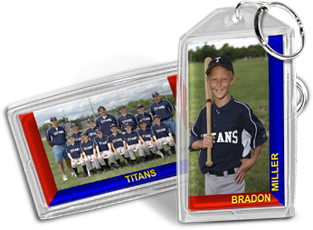 The Key chain includes a personalized group & individual photo of your child's with Team Name & Year. The Mug is a great gift for any family member. 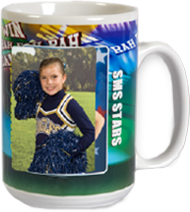 Its holds 15oz of liquid and has your child's Name,Team Name & Current year. 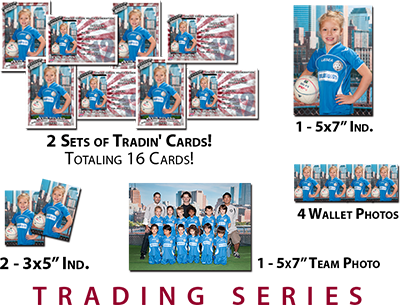 2-5x7 prints with your child cutout and composited on our cool graphical backdrop. Product Description: Instagram inspired filters on 4 wallets printed on high quality photo paper. A teenagers parent must have. 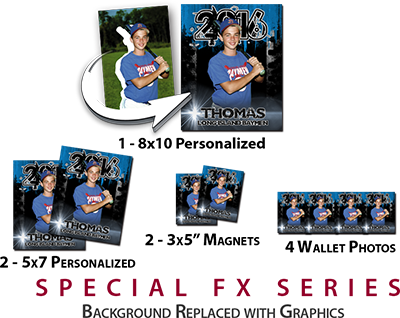 This CD includes Multiple High resolution prints with & without graphics and a photo release for unlimited printing and use. 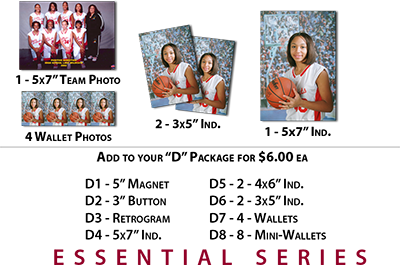 Our Media bundle includes multiple prints and a High resolution digital download for sharing on all social sites. 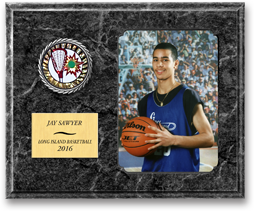 Product Description: Our Plaque bundle includes a large 13inch tall by 9inch wide plaque with additional prints to make this a value for any family that wants to display their little star prominently in the household. 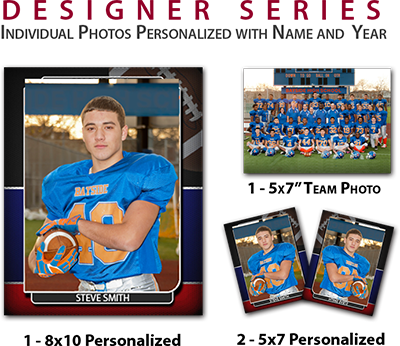 Our designer bundle includes several designer prints with 1-5x7 group print. The Essential bundle is a fan favorite. Customize your package by adding only what you want to the standard set. The Trading Bundle is ideal for anyone that wants to share with family & friends. The Special FX bundle is for any child that thinks their name belongs in lights with their smiles shining bright.